Open data is data that can be freely used, shared and built-on by anyone, anywhere, for any purpose. Kathu is a town in South Africa, and the iron ore capital of the Northern Cape province. Its name means "town under the trees", after the Camel Thorn forest it is situated in. The phrase "the town under the trees" was coined by an engineer working in the town in the early-1990s as part of a tourist marketing drive, together with the accompanying graphic. In line with digital skills development mandate, the International Open Data Day will be localized to address solutions for the area of Kathu. Most of work on the day will be on computers as a strategy to build more digital interest and drive a Collaborative Digital Economy. At the end of the event, participants will have innovative business ideas through Open Data. Story of the Open Data Day will be published through different platforms of the department and Geekulcha. Mining Data will be amongst the datasets for the day’s event. It will be an open event with a variety of datasets for people to use. 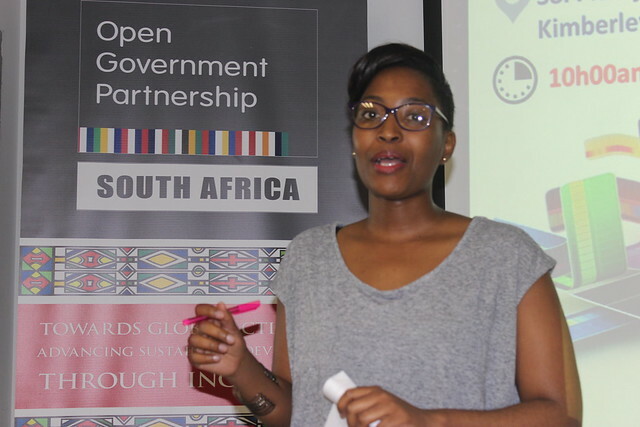 Check out the photos from the last Open Data event - the Responsive Cities Challenge in Kimberley.